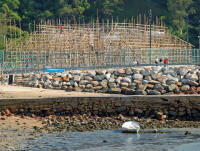 The HK-renowned Hing Fung Ming Cantonese Opera troupe will perform from May 8-12 in the Yung Shue Wan Football Pitch. 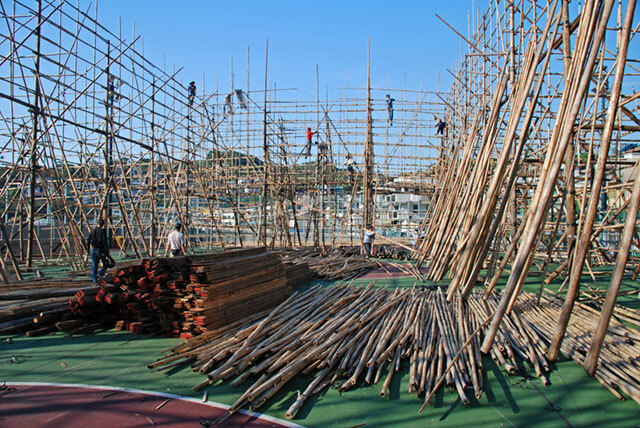 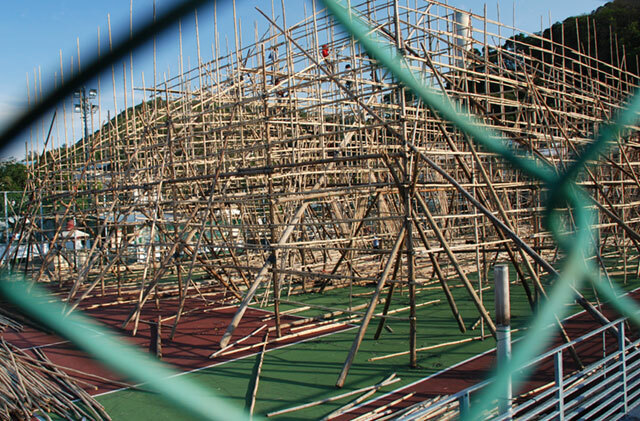 The entire gigantic arena is being built with the same bamboo poles still used commonly for building scaffolding all over Hong Kong. 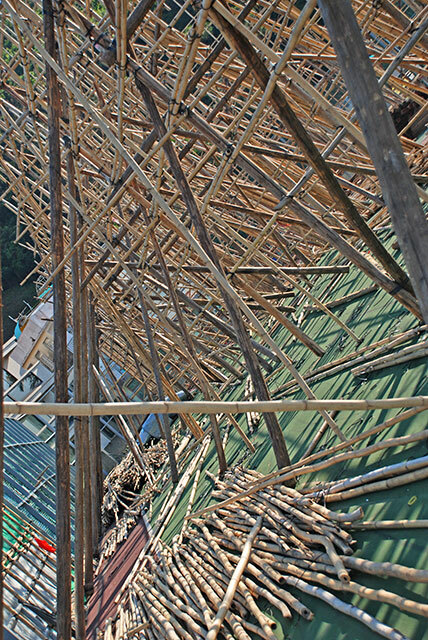 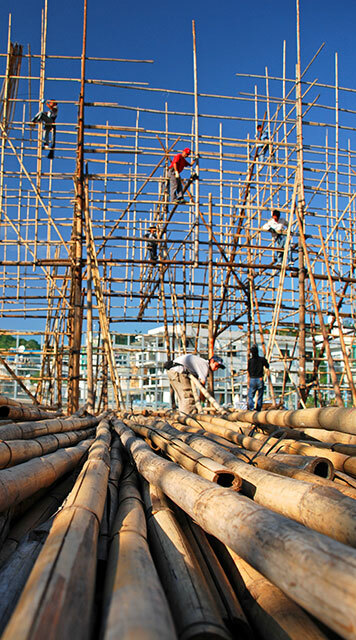 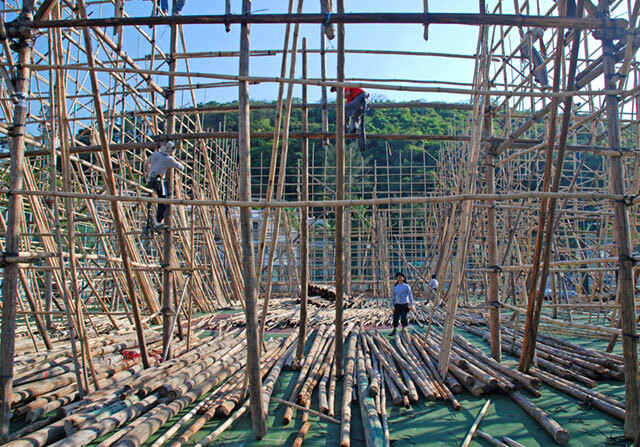 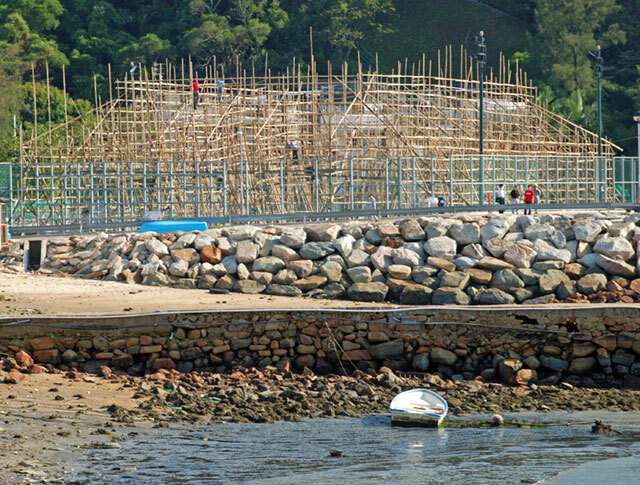 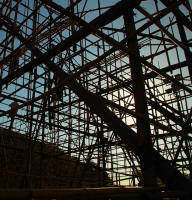 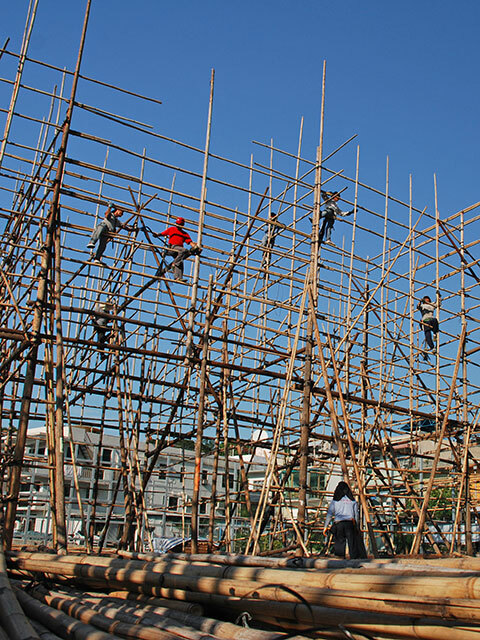 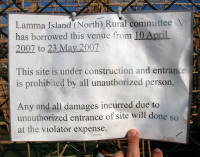 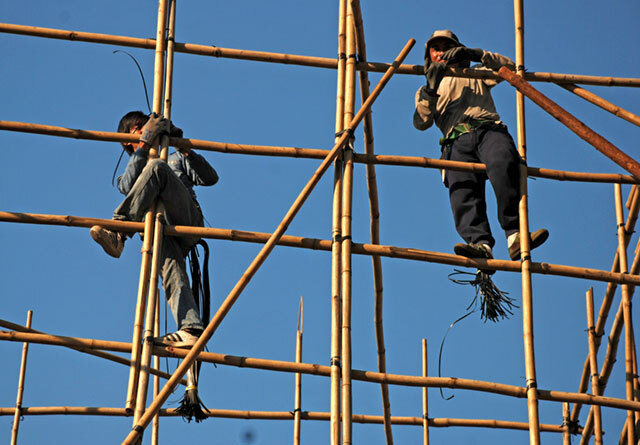 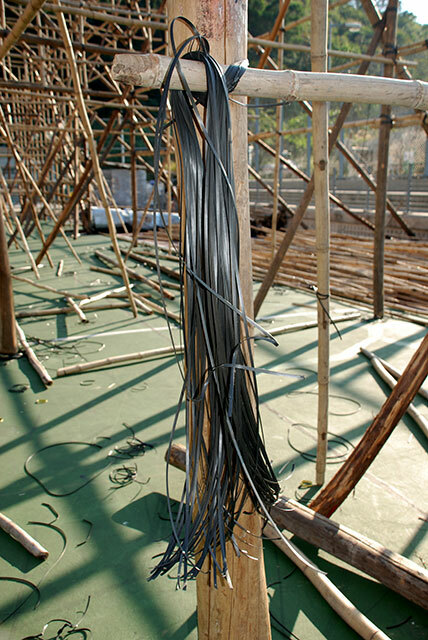 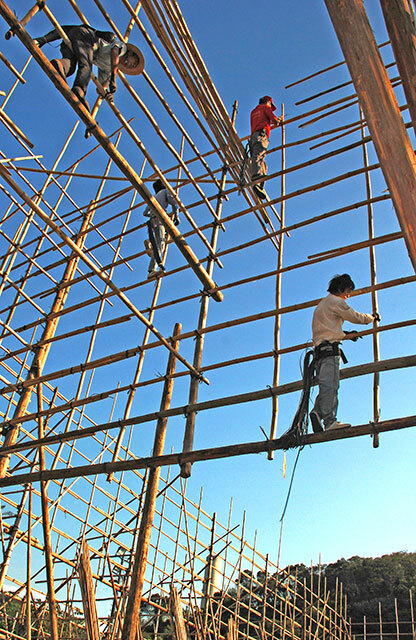 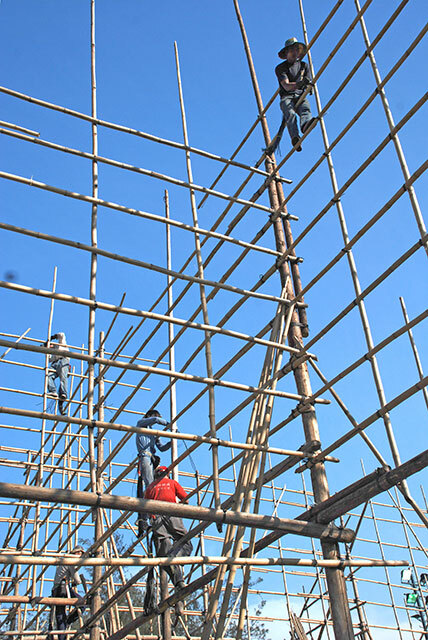 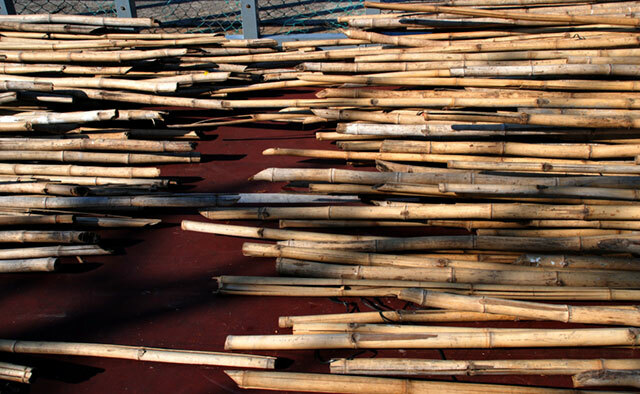 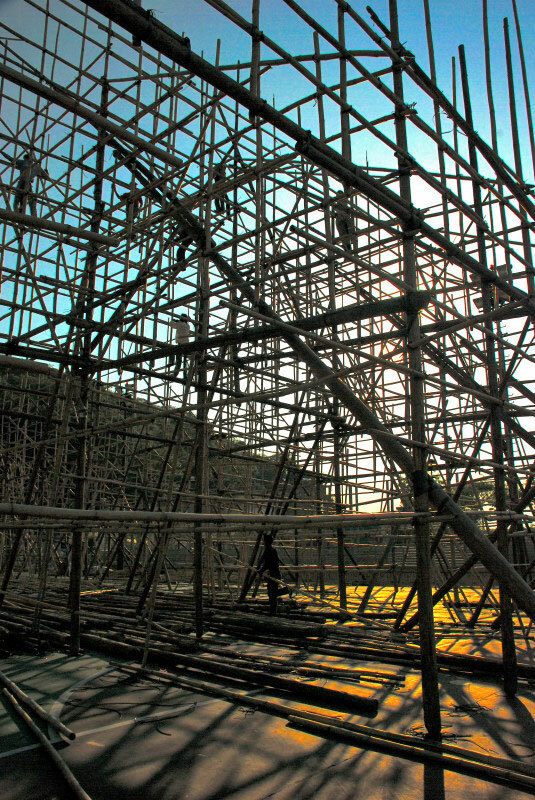 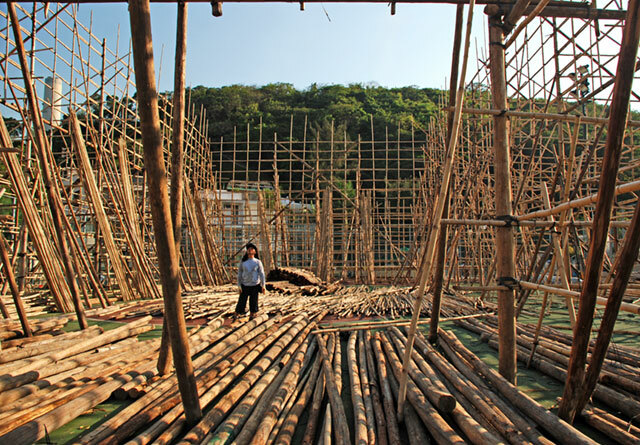 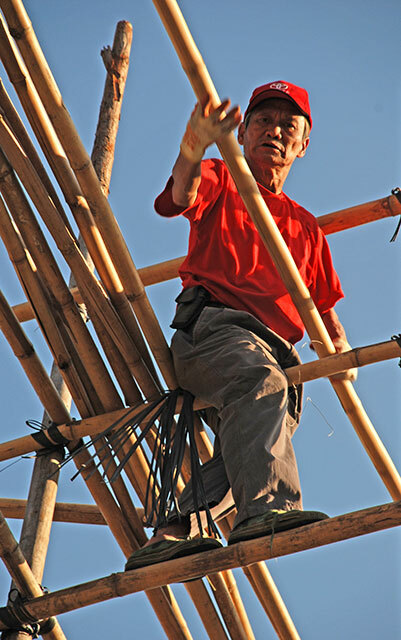 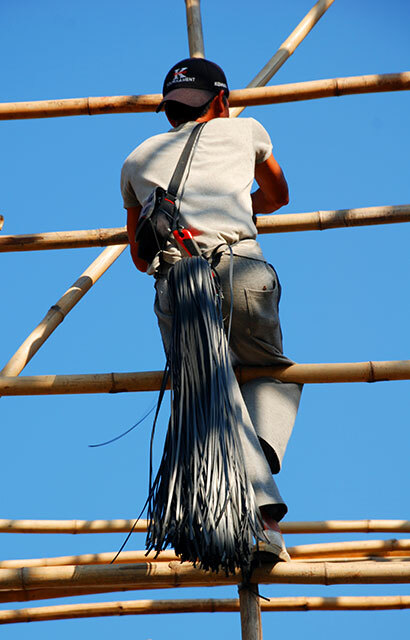 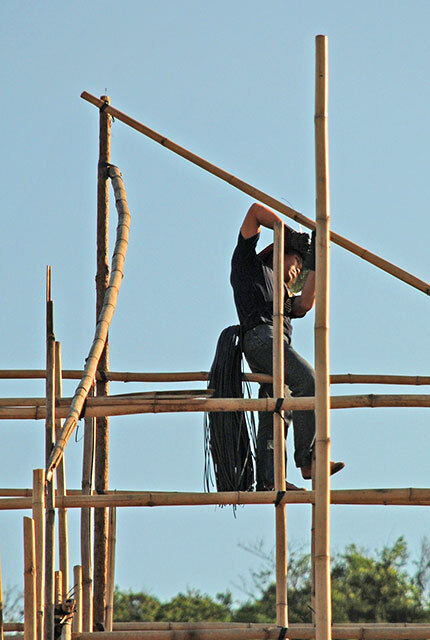 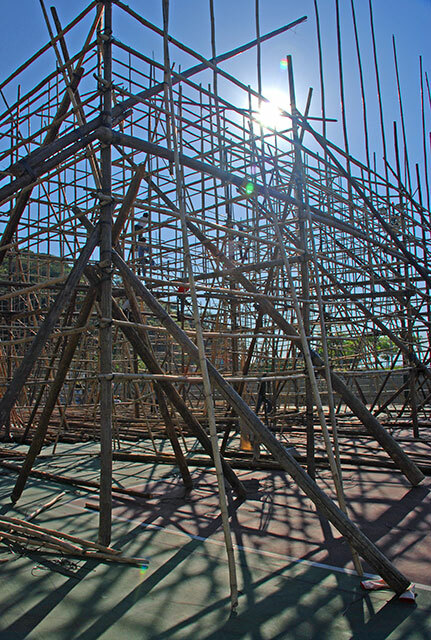 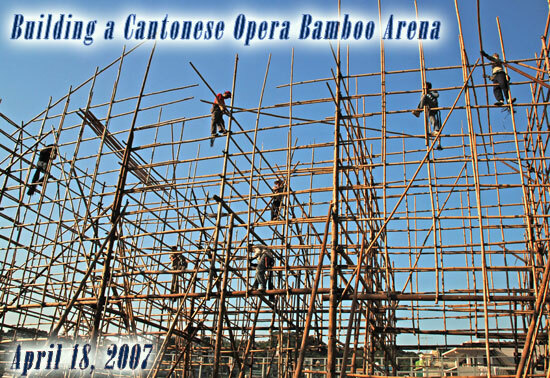 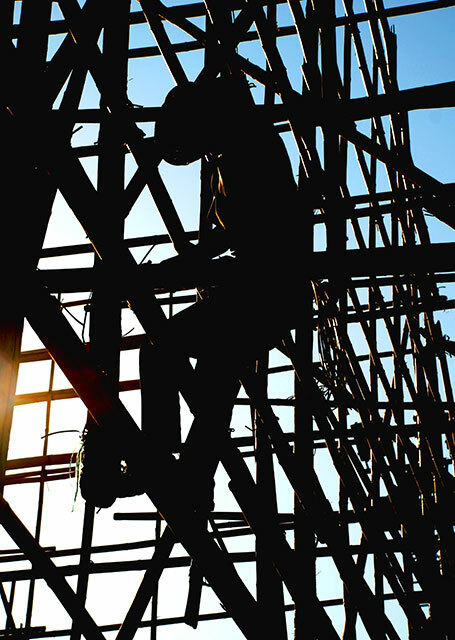 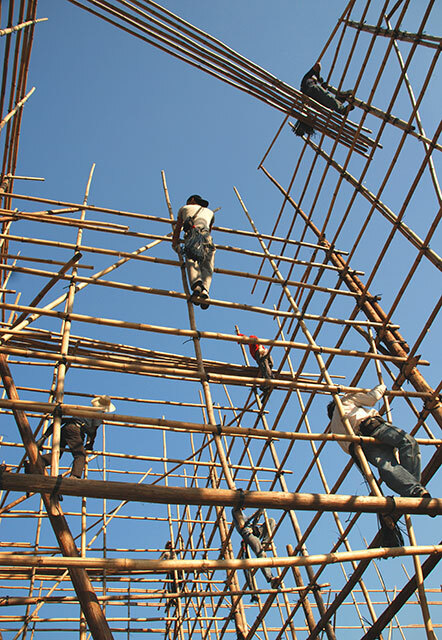 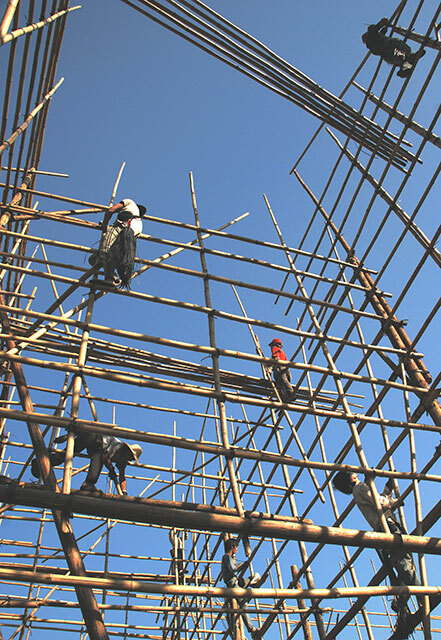 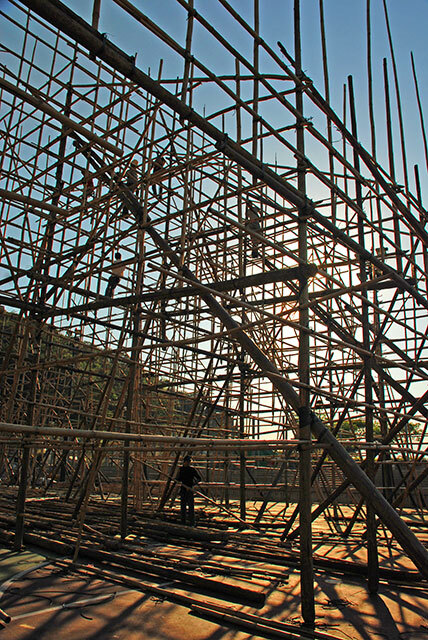 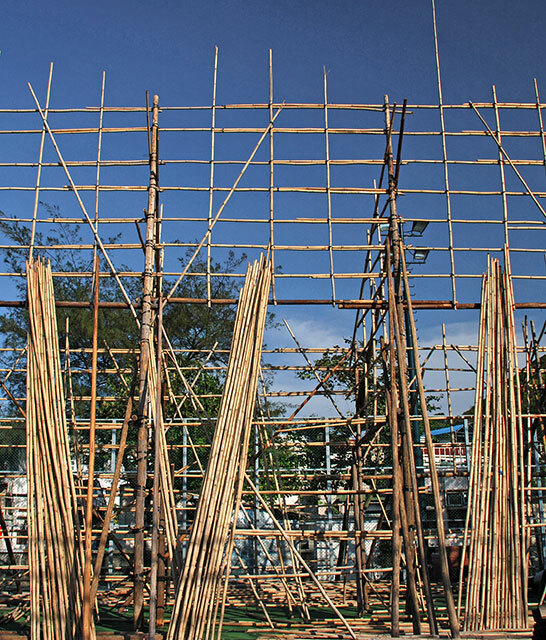 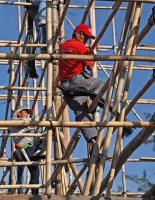 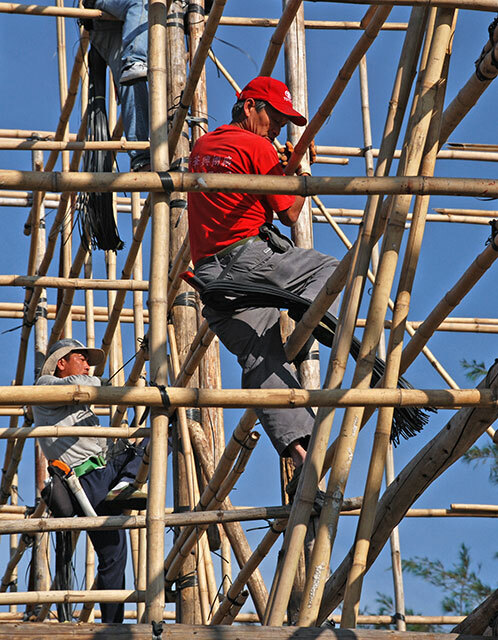 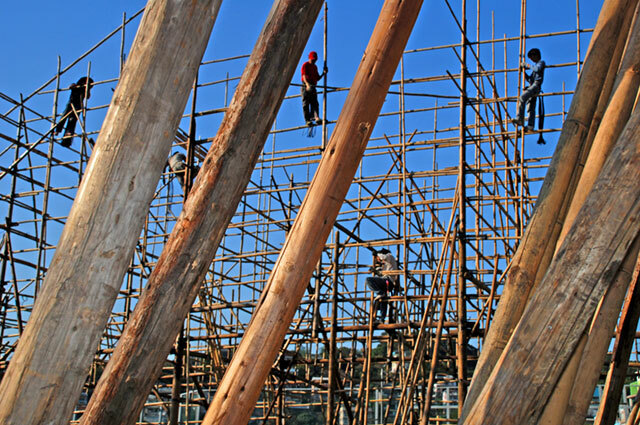 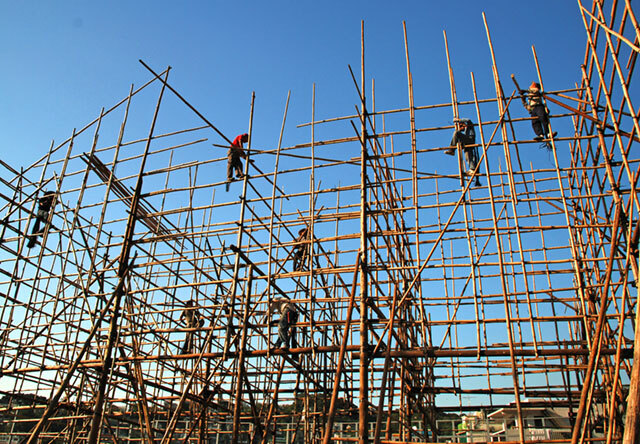 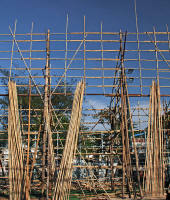 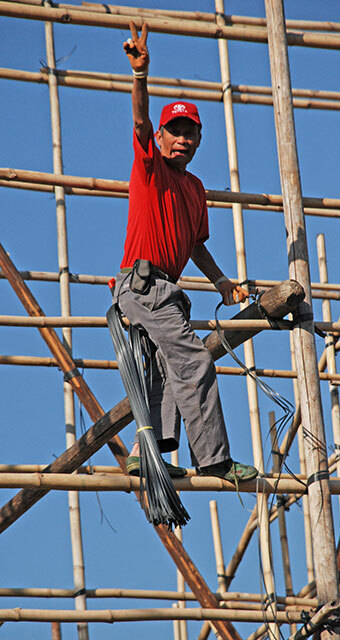 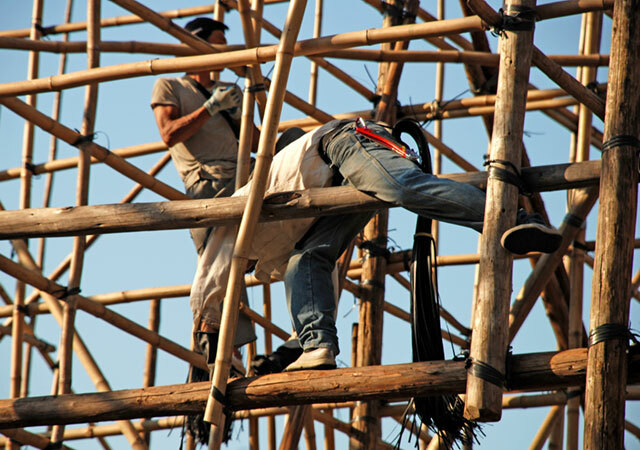 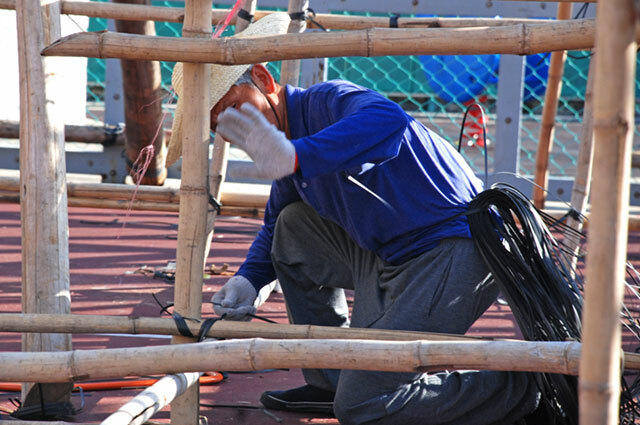 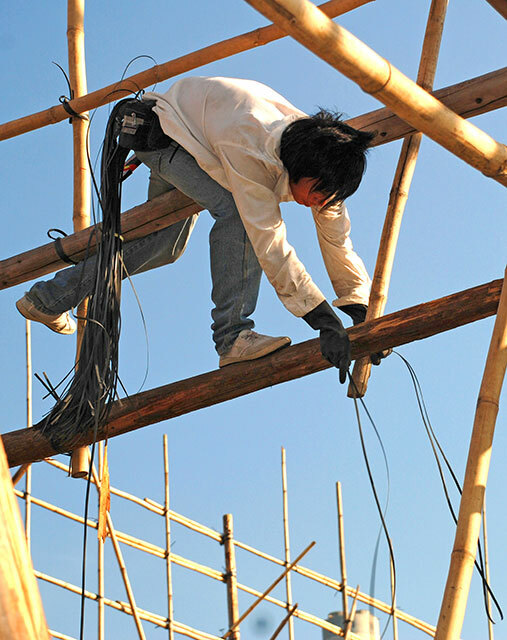 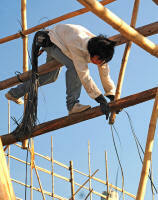 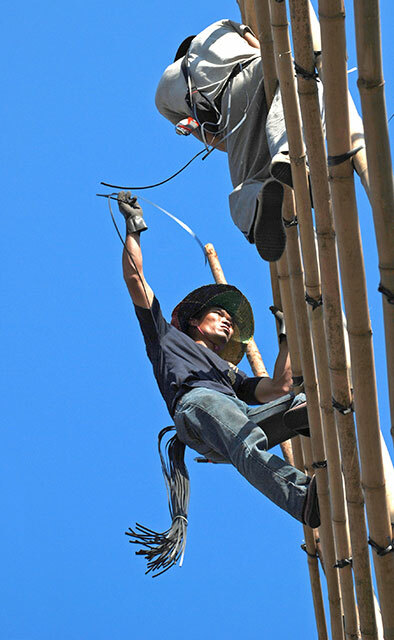 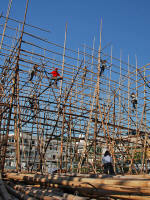 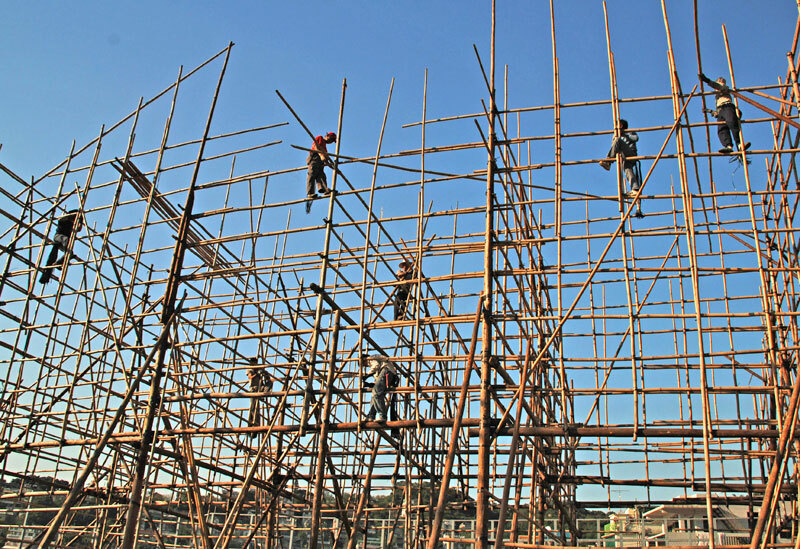 In this case, the bamboo is the supporting material of the entire arena, not just the scaffolding. 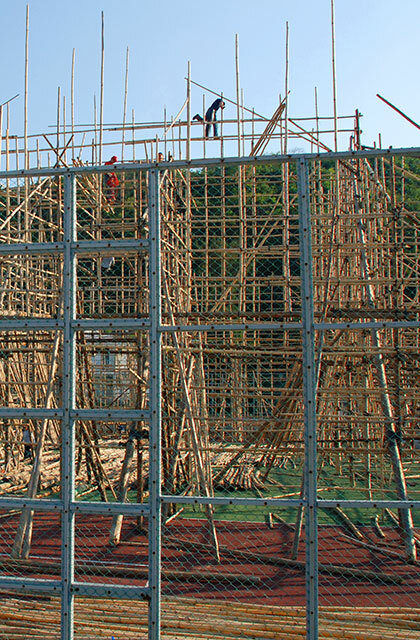 It takes these up to ten guys over two weeks to build this extremely intricate structure. 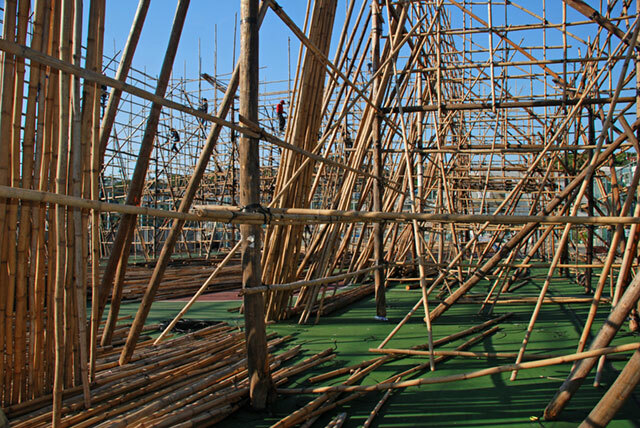 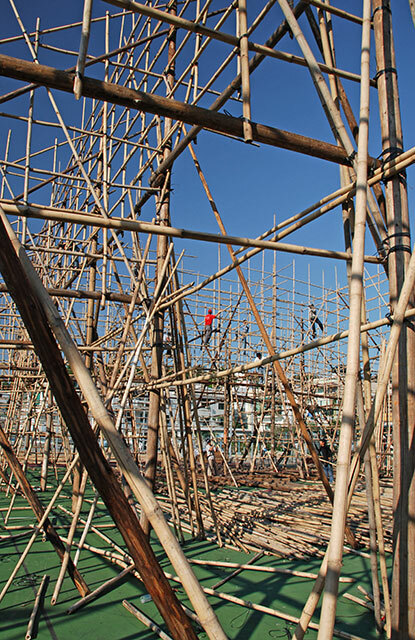 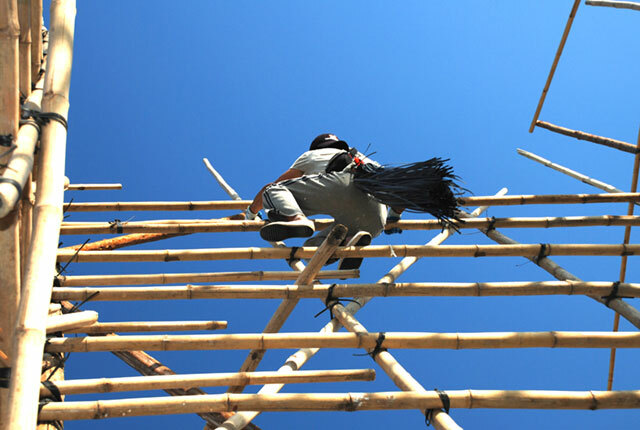 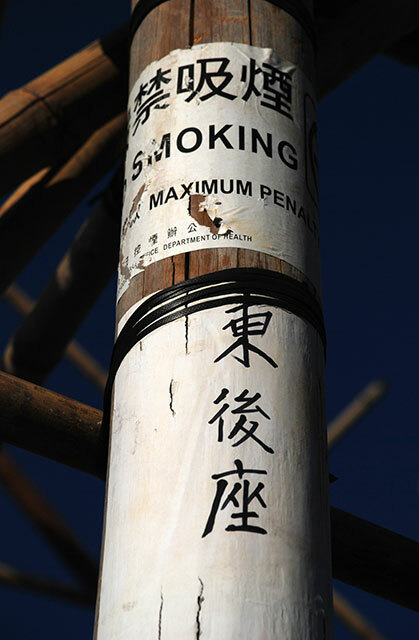 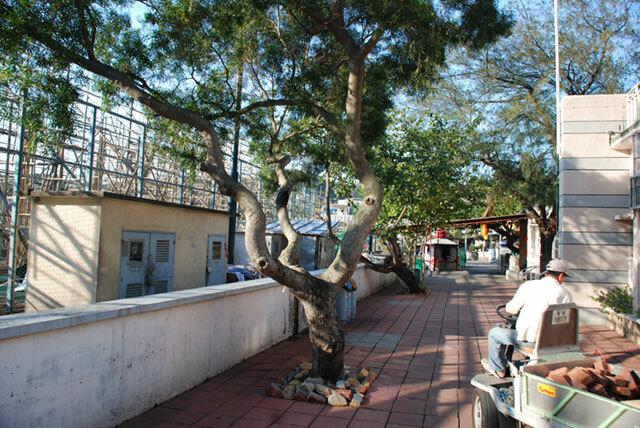 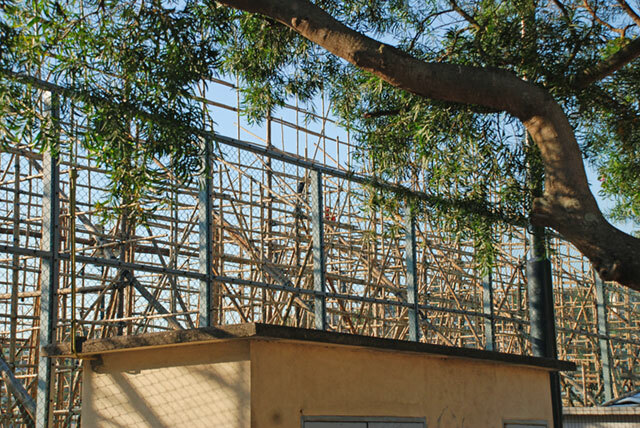 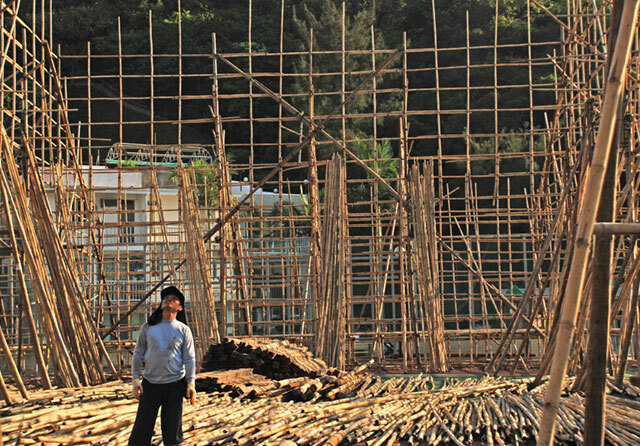 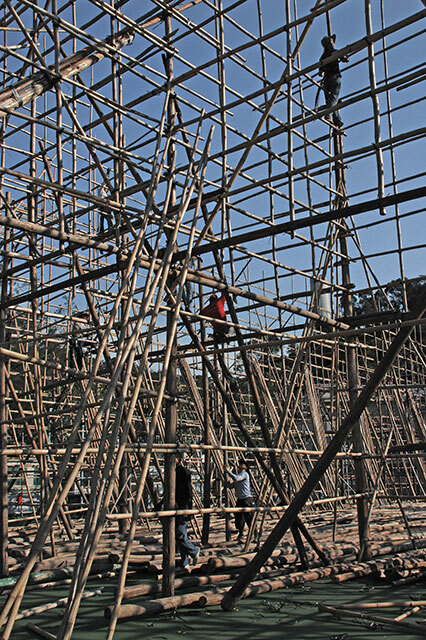 Everything, stage, backstage rooms, roof, even the staircases are built from bamboo poles! 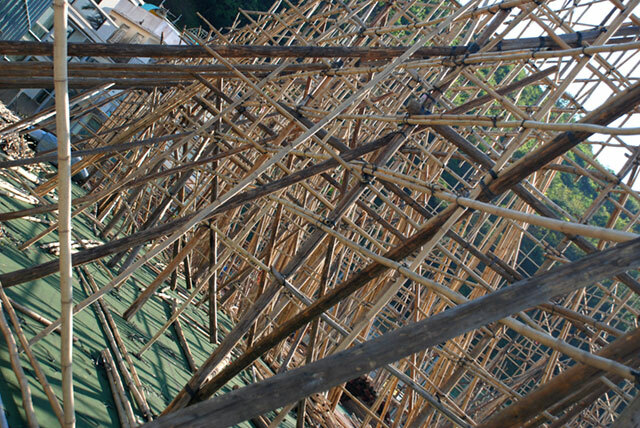 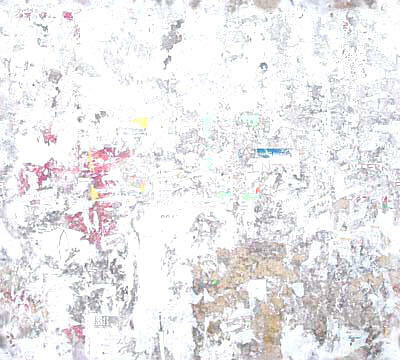 A truly dying art, still practiced once a year in Yung Shue Wan and once a year in Sok Kwu Wan.